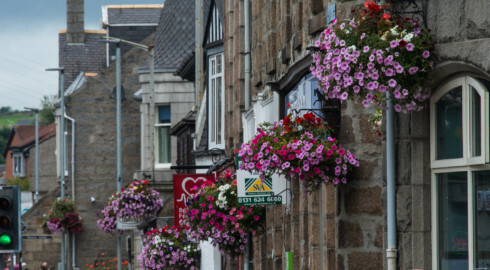 Our town looks bright and welcoming thanks in no small part to the work of volunteers from local horticultural charity Inverurie Environmental Improvement Group (IEI). 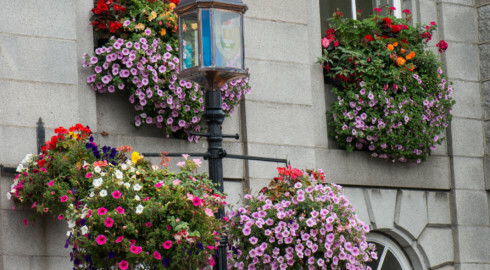 Since it was founded in 2003 by the late Ranald Allan, IEI have expanded the array of colour on display in the Town Centre with over 180 hanging baskets, window troughs on the Town Hall and nine large tiered planters in the town creating a sea of colour throughout the summer from June to October. The floral display is continued from November to May when winter-bedding plants bloom in the planters. The hanging baskets and planters are sponsored by local shops and businesses and IEI would like to thank them for their support and generosity. 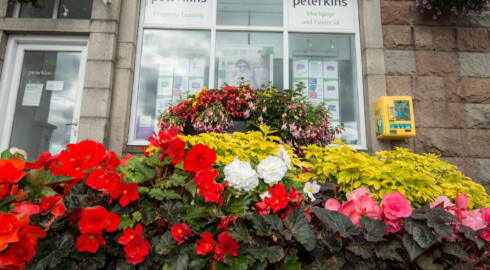 The summer-bedding plants are supplied by Aberdeenshire Council and planted out by the service users at the Pitscurry Project, a local social enterprise. The watering is carried out three times a week by volunteers from IEI committee members (and their families), Inverurie Men's Shed and Rotary Club of Inverurie. The water (2,500 litres per week) is from a sustainable source courtesy of a local business. IEI also run the “Inverurie Best Garden Competition” which is an excellent opportunity for the local community to get involved in making their town look vibrant, whilst receiving the praise and recognition they deserve for their efforts in maintaining wonderful front gardens. The aim is to draw attention to the contribution that Inverurie gardeners make to the visual impact of the town and to encourage others to do the same. Inverurie has been recognised by Keep Scotland Beautiful as an 'Outstanding Community' in the It's Your Neighbourhood Initiative 2016. The Town was assessed under the three themes: Community Participation, Environmental Responsibility and Gardening Achievement. 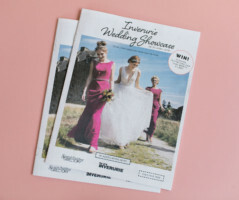 To promote horticulture in and around Inverurie for the benefit of the public by providing or encouraging the provision of displays of flowers, shrubs, trees or landscapes in places visible to the public. To advance the education of the public concerning the natural environment through the development of environmental programs. 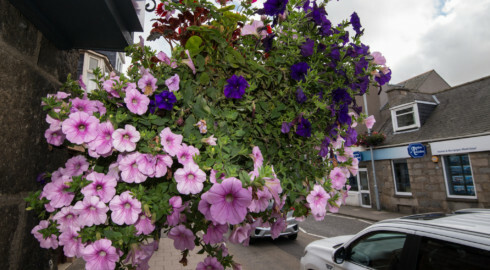 Inverurie hanging basket photos kindly provided by Ian Talboys.